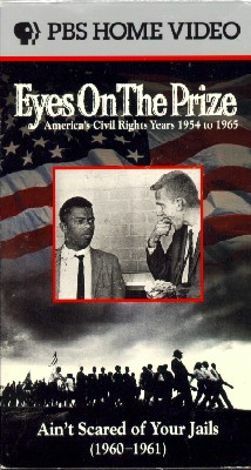 Part of the Eyes on the Prize documentary series, which chronicles the American civil rights struggle, Eyes on the Prize: Ain't Scared of Your Jails (1960-1961) focuses on the importance of the student movement in the civil rights years. The first part of the program remembers the black college students who staged sit-ins in 1960 Nashville, refusing to vacate lunch counters until they were served. After those students were arrested, other black residents began boycotting buses to protest. The second part of the program looks at the controversial freedom riders, who fought to integrate the bus system. With the support of Robert Kennedy, they eventually won.